Topmed aspires to play a pivotal role in shaping the healthcare industry by providing cost effective medical equipment leasing for healthcare management. Topmed acts as a mediator for a wide variety of healthcare equipment leasing services. Lease options help match costs to revenue projections, conserve cash, and minimize clinical, technical and operational obsolescence. 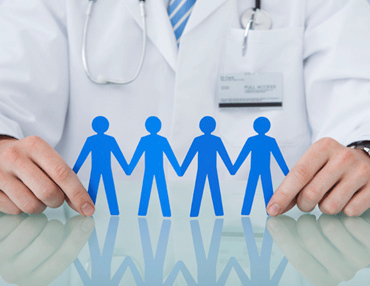 Healthcare leasing provides a wide range of advantages for the healthcare industry. Leasing medical equipment enables wider access to such equipments that are not available with their competitors. Leasing allows for a very low monthly payment, saving cash for other purposes. We also provide real estate investment with medical, healthcare sector expertise in the business of healthcare real estate investments. The medical property expertise has been built-in to dedicate solely its investments in Healthcare property – for sale or lease. Through our discretionary funds, we invest in joint venture partnerships with qualified developers of medical offices, single tenant specialty facilities, senior housing projects, and with owner-operators of existing facilities where there is the opportunity to add value. We are a seasoned team. We possess the experience and judgment to deliver and execute investment opportunities in medical properties sale or lease. Our investment and asset management expertise are proven. Collaborate with us to leverage expertise in both real estate and healthcare industry, ensuring a sound investment strategy.